Stephen Winterrowd Resource for franchise buyers. When it comes to getting advice about buying a Franchise and leaving the world of being an employee, Stephen Winterrowd can give that insight because he’s done it. 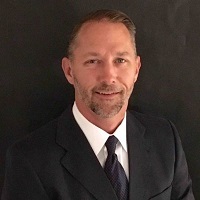 After graduating in 1999 from Oklahoma University with an MBA in Finance, he moved to Dallas to become a Financial Advisor helping place clients in the proper managed portfolio for their long-term goals, similar to the process of finding a great Franchise to fit you. An offer came in February of 2001 to move to New York City to open an office on Wall Street and Stephen, along with wife Kristi, jumped at the chance to experience the challenge of the big city. After, 9/11 the office was closed but they did not want to leave the City based on that challenge, plus Kristi had quit a job in Dallas she loved and had worked hard to find a new job in New York, so it was Stephen’s turn to find another opportunity. That opportunity turned out to be a Pharmaceutical Representative with Wyeth in the Lower Manhattan Territory in Nov of 2001. In the following 7 years, Stephen consulted with OBGYN’s, Psychiatrists, and Infectious Disease Doctors, applying an extensive amount of training in the consultative approach of client interactions, which helped him partner with Doctors and Hospitals to understand where the medicines he promoted fit properly into a patient’s success. During this time Stephen was feeling the pull of entrepreneurship and wanting to start a business of his own, but like many did not have a unique idea. He understood the benefits of Franchising where you can get a successful plan and maintain some of the structure from Corporate America to ease the transition. Like many today his search started on the internet where he answered the ad of a Consultant and experienced the process of finding a good fit for him. The fit for him was with CertaPro Painters, and with the birth of their first son Hudson, they wanted to have better weather and start the business in an open territory with big potential. So they packed up and moved across the country to Santa Monica, CA in February 2008 to start the Painting Franchise with a partner that already lived out West. 2008 turned out to be a challenging time for businesses but a great time to start one since they had nowhere to go but up, with competition contracting and cutting marketing the Company was able to capture market share and make the climb to over $1 million in revenue by 2012. During his time at CertaPro, Stephen Winterrowd has experienced a lot in the Franchise world, from the struggles of startup, buying out a partner, expansion, to selling the business. As an independent consultant with The Franchise Consulting Company, Stephen uses his experiences and training to partner with clients to help them find the Franchise opportunity that best fit their goals. His favorite quote is “Obstacles are those frightful things you see when you take your eyes off your goal” .. Henry Ford. Stephen looks forward to helping others focus on their goal and pushing the obstacles they see aside. With his wife Kristi and two sons Hudson and Becker, Stephen lives in Playa Vista, CA enjoying the sun, surf, and patio dining with family and friends. To start your journey of finding a great opportunity for you contact Stephen Winterrowd at stephen@thefranchiseconsultingcompany.com or by call 310-773-7662.